Despite this, many people manage to stop smoking and continue to be non-smokers throughout the rest of their lives. The following tips will support people to stop smoking effectively, and remain as a healthy and confident non-smoker from now on. It’s always easier to achieve something if there is support available to increase motivation and strengthen resilience. Engage someone important to share your quit date and provide support throughout the process. Ideally, the chosen person will be a fellow smoker who is also looking to quit at the same time. 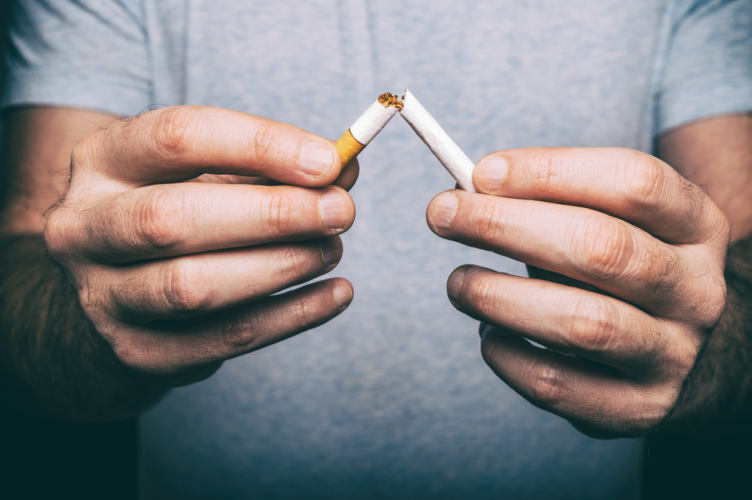 National Health Service studies have proven that NRT can increase success levels for those trying to stop smoking effectively. Nicotine replacement is available as patches, lozenges, inhalators and tablets. The medication works by providing measured doses of nicotine safely into the body, removing cravings and supporting the quitter in achieving his goal. Therapies such as acupuncture, hypnotherapy and Reiki all promote wellbeing and can support people who are trying to quit smoking by strengthening resolve and reducing cravings. Consult a local therapist who has good references, and book in weekly sessions to provide ongoing support and treatment. All goals are more easily achieved if they have a confident and resolute initiation. Pick a date that suits and stick to it, informing friends and colleagues of the decision. In this way, you will commit to stopping smoking and feel firmly committed to the process of stopping as the day approaches. If cigarettes are left in the environment as the quitting date approaches, it will be much harder to resist temptation. Commit to stopping by removing ashtrays and cigarettes, lighters and all other paraphernalia associated with the habit before the big day. The NHS and GPs services can provide support and help with stopping smoking, from providing online or face to face forums right through to telephone calls to strengthen resolve, and reduced price prescription NRT. There is the added incentive of being registered as a non-smoker on medical records, reducing insurance costs. Calculate money saved each day and place it in an accessible place so it is easy to see funds growing from stopping smoking. Permit the purchase of treats and rewards as each milestone is reached, and keep a diary throughout the process. The first two months is the most difficult milestone, as support tends to wear off, so be prepared for temptation to increase at this point. Identify potential triggers which may cause the craving to smoke. This could be going to the pub, eating out, or spending time with other smokers. Obtain barriers such as further NRT or mood-boosting incentives and slogans, to ensure there is always something in the way of picking up that first cigarette again. The health benefits and financial elements of giving up smoking are incontrovertible. Keep a list of these at all times, to make sure that the temptation to slip up can always be thwarted. Look forward to a longer, healthier and happier life away from the stigma that smoking creates, and the freedom of beiong completely independent of addiction for the first time.